CHICAGO - July 1, 2014 - PRLog -- It's all about the Music. Write It. Play It. Perform It. That's the essence of the 3 REBELMANN® brothers playbook. Johnathon, Bryce, and Clayton Mann are preparing to hit the road again. 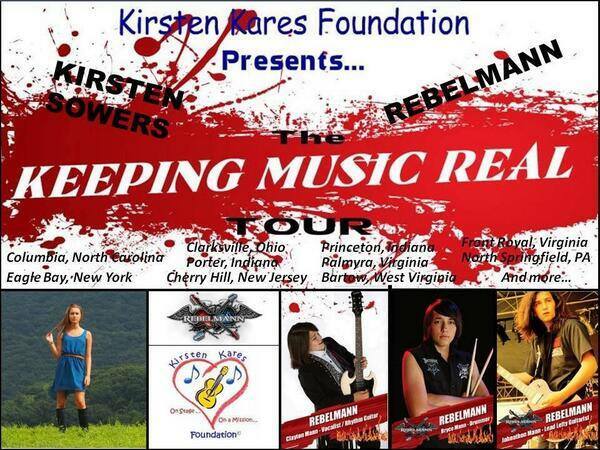 This time, embarking on a seven state "KEEPING MUSIC REAL" Tour with budding singer-songwriter Kirsten Sowers out of Blue Bell, Pennsylvania. Teaming up with Kirsten Sowers, 14, was an easy choice for REBELMANN®. Having met in 2013, Kirsten, like the Mann brothers, also writes and performs her own music while playing acoustic guitar. 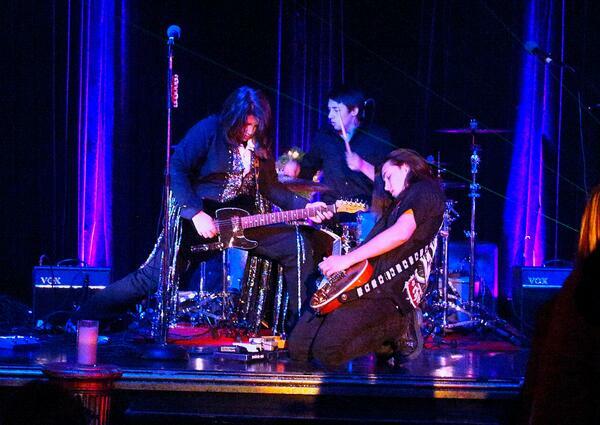 At other times, she is joined on stage by a full, live band. What makes the teen "KEEPING MUSIC REAL" Tour unique? Well, actually the music itself - it's all real. There will be no backing tracks of guitars, drums, synthesizers or otherwise; nor will there be any backline piped in over the PA. All the vocals will be live, as well as the musical performances, without autotune or any other effects. REBELMANN® is set to open the 2-hour set with an individual 40-minute performance. Then Kirsten will join the live band of brothers on stage, bringing her vocal talents, along with guitar playing, to the stage for a combined vocal and musical performance of rocked-up country. Kirsten will then close the 2-hour show with her own individual set, performing both original and cover tunes. The "KEEPING MUSIC REAL" Tour will continue to hone the young artists' musicianship. All 3 Mann brothers, as well as Miss Sowers, remain enrolled in weekly guitar, drum, and vocal lessons. They are firm in their belief that "life is real, music should be real too." 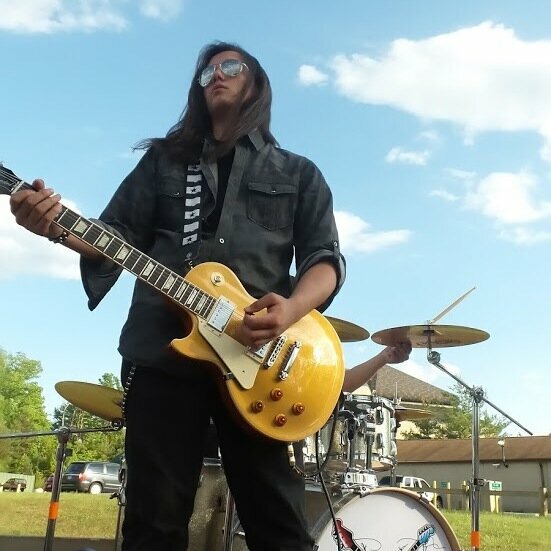 Johnathon Mann, lead lefty guitarist of REBELMANN®, said it best when referencing Slash as one of his musical influences, "It's not just what he plays, it's how he plays it. What really catches me is his phrasing. That's something a computer can't duplicate, the raw performance of live music. It doesn't have to always be perfect, because it's human. That's what makes music real." REBELMANN® is also in the process of recording their debut album, "INDIAN LAND," in which they wrote all the original songs. Legendary rock guitarist, Bruce Kulick, (KISS and Grand Funk), continues to advise the young band of brothers on all things music. Producer/Engineer Brian Virtue, whose credits include Jane's Addiction, Chevelle, Audioslave, and 30 Seconds To Mars, is also involved in the project. You can catch up with REBELMANN® on the "KEEPING MUSIC REAL" Tour at http://www.REBELMANN.com/Events.html.